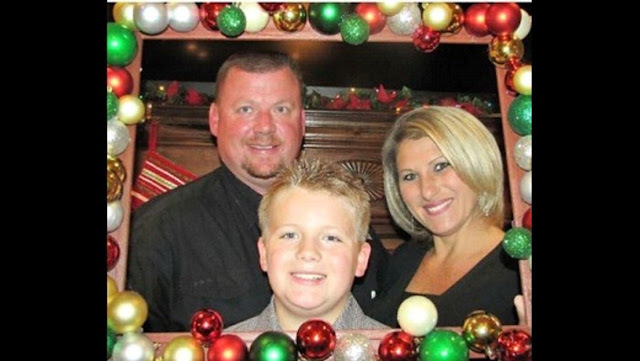 Joseph David Starling, his 8-year-old son Hunter, and Kim Smith. The non-instrument-rated private pilot elected to conduct the cross-country flight over mountainous terrain without obtaining a weather briefing or filing a flight plan. As he approached his destination, the pilot requested a descent from his cruising altitude of 9,500 ft mean sea level (msl), which was approved by air traffic control. The controller instructed the pilot to maintain visual flight rules flight throughout his descent. Instead, the pilot descended the airplane into a cloud layer between 7,000 ft msl to 5,000 ft msl despite his instructions from air traffic control. Radar data and satellite weather imagery depicted the airplane in a steady-state descent inside a solid cloud layer which tracked north, directly toward the destination airport. The radar track ended at 5,400 ft. msl abeam a mountain peak at 6,500 feet elevation. The accident site was located at 5,400 ft in steep, mountainous terrain about 15 miles south of the destination airport at the same position as the last radar target. Examination of the wreckage revealed no pre-impact mechanical anomalies and signatures consistent with controlled flight into terrain. The pilot had a history of disregard for established rules and regulations. The pilot's medical certificate was expired, and his airplane was about 2 months overdue for an annual inspection. He was counseled numerous times by an experienced flight instructor about his unsafe practice of operating the airplane in instrument meteorological conditions without an instrument rating, but he continued to do so over a period of 2 years and again on the accident flight. His contempt for rules and regulations was consistent with an anti-authority attitude, which is hazardous to safe operation of aircraft. The pilot had used the potentially-impairing stimulant phentermine at some time before the flight, but the samples available for testing were inadequate to quantify impairment. Therefore, it could not be determined if the pilot's use of phentermine contributed to this accident. The non-instrument-rated pilot's intentional visual flight rules flight into instrument meteorological conditions, which resulted in controlled flight into terrain. Contributing to the accident was the pilot's established anti-authority attitude. On December 26, 2016, about 1602 eastern standard time, a Cessna 182H, N1839X, collided with mountainous terrain during descent for landing to Gatlinburg Pigeon Forge Airport (GKT), Sevierville, Tennessee. The private pilot and two passengers were fatally injured; the airplane was destroyed. The airplane was registered to and operated by the pilot under the provisions of Title 14 Code of Federal Regulations Part 91. Instrument meteorological conditions prevailed, and no flight plan was filed for the personal cross-country flight. The airplane departed Keystone Airpark (42J), Keystone Heights, Florida, about 1300. Information from the Federal Aviation Administration (FAA) revealed that the airplane was receiving visual flight rules (VFR) flight-following services and was at 9,500 ft mean sea level (msl) when the pilot requested a descent into GKT. At 1554, the controller approved the descent, issued an altimeter setting, and directed the pilot to "maintain VFR." Radar data depicted a descent on a ground track of about 340° directly toward GKT at a groundspeed between 130 and 150 knots. At 1558, about 20 miles from GKT, the airplane descended below the minimum vectoring altitude of 8,000 ft msl. The airplane continued its descent on the same ground track and about the same speed. At 1602, the radar target was at 5,400 ft msl abeam the peak of Mt. LeConte, elevation 6,500 ft, when the radar track ended. At that time, the controller issued the airplane a radio frequency change to the GKT frequency and terminated radar services. No reply was received from the airplane, and no further attempts to contact the airplane were made. Local law enforcement was notified of the overdue airplane by concerned family members. A search was initiated, and the wreckage was located later that evening by helicopter at 5,400 ft in steep, mountainous terrain at the same position as the last radar target. The pilot held a private pilot certificate with a rating for airplane single-engine land. He was issued a third-class medical certificate on December 3, 2013, and he reported 12 total hours of flight experience on that date. That certificate expired on the pilot's 40th birthday in September 2015. A search of FAA records revealed that the pilot had not applied for a medical certificate in any class after December 3, 2013. The pilot was issued his private pilot certificate on April 1, 2014 at 45.3 total hours of flight experience. His pilot logbook was not recovered. On April 27, 2016, the pilot reported to his insurance carrier that he had accrued 272 total hours of flight experience, 219 hours of which were in the accident airplane. The four-seat, single-engine, high-wing, fixed-gear airplane was manufactured in 1965 and equipped with a Continental O-470-R-series, 230-horsepower, reciprocating engine. According to the airplane's maintenance records, the most recent annual inspection was completed on October 3, 2015, at 2,595 total aircraft hours. At 1615, the weather reported at GKT, located 15 miles north of the accident site, included few clouds at 4,600 ft and calm wind. The temperature was 18°C; the dew point was 13°C; and the altimeter setting was 30.30 inches of mercury. Airmen's Meteorological Information (AIRMET) Sierra for mountain obscuration was in effect along the airplane's flight route. Satellite imagery showed instrument flight rules (IFR) conditions with cloud tops between 6,000 and 7,000 ft msl in the area surrounding the accident site. Conditions north of the ridgeline that the airplane struck and at the destination airport were VFR. At 1545, about the time the airplane passed overhead, the weather reported at Macon County Airport (2,034 feet elevation), Franklin, North Carolina, about 25 miles south of the accident site included scattered clouds at 700 ft, a broken ceiling at 1,200 ft, and an overcast cloud layer at 2,400 ft. The visibility was 4 statute miles in fog. A pilot who transitioned through the area of the accident site around the time of the accident captured images and weather information near the site. He said that during the climb, his airplane entered a flat, stratus cloud layer at 5,000 ft and that the cloud tops were at 7,000 ft msl. According to this pilot, the cloud layer remained consistent throughout the en route and descent portions of his flight. A search of official weather briefing sources, such as Lockheed Martin Flight Service and the Direct User Access Terminal Service, revealed that no official weather briefing was received by the pilot from those sources. A search of ForeFlight weather information revealed that the pilot did not request a weather briefing, nor did he file a flight plan using ForeFlight mobile. However, at 1449, the pilot did enter route information from 42J to GKT in ForeFlight, but he did not view any weather imagery. It could not be determined if the pilot viewed weather observations or terminal area forecast information en route as Foreflight did not archive that information. The wreckage was examined at the accident site by an FAA inspector. There was an odor of fuel, and all major components were accounted for at the scene. Because of the hazardous conditions at the site, a brief photo-documentation of the wreckage was performed before it was recovered by helicopter for further examination. During the subsequent examination, it was determined that two landing gear and a propeller blade were not recovered from the accident site. The airframe was segmented by both impact and cutting performed by the aircraft recovery technicians. Control continuity was established from the cockpit area, through several breaks and cuts, to the flight control surfaces. All breaks were consistent with overload failure or mechanical cutting during recovery. The leading edges of both wings were uniformly crushed. Examination of the instrument panel revealed that the instruments were destroyed by impact, and no useful data was recovered. The mixture, throttle, and propeller controls were all found in the full-forward positions. The fuel selector valve was in the "Right" tank position. The propeller, propeller governor, engine case, No. 6 cylinder, and the crankshaft forward of the No. 4 main bearing were separated by impact forces. The engine could not be rotated by hand due to impact damage. The oil sump was also separated, which allowed for visual inspection of the power section. Visual inspection and borescope examination revealed normal wear and lubrication signatures. The engine accessories were also separated from the engine due to impact. The magnetos could not be tested due to impact damage. Disassembly revealed normal wear and no pre-impact mechanical anomalies. GKT was depicted on the Atlanta VFR Sectional Chart at 1,014 ft msl. The Maximum Elevation Figure (MEF) for the quadrant that contained both GKT and Mt. LeConte was 7,000 ft msl. Instrument approach procedure charts for GKT depicted the minimum sector altitude as 7,900 ft msl, which provided a minimum clearance of 1,000 ft above all obstacles within a 25nm radius of GKT. These charts were available to ForeFlight subscribers. The Regional Forensic Center, Knox County, Tennessee, performed the autopsy on the pilot. The cause of death was listed as multiple blunt force injuries. The FAA Bioaeronautical Sciences Research Laboratory, Oklahoma City, Oklahoma, performed toxicological testing for the pilot. Phentermine was detected in the liver at 0.167 ug/ml, in the spleen at 0.125 ug/ml, and in the kidney at 0.116 ug/ml. Phentermine is a prescription stimulant/appetite suppressant medication marked under various names including Adipex. It is a central nervous system stimulant, and side effects include overstimulation, restlessness, and dizziness. It carries the warning, "phentermine may impair the ability of the patient to engage in potentially hazardous activities such as operating machinery or driving a motor vehicle; the patient should therefore be cautioned accordingly." The pilot had not disclosed use of this medication to the FAA. There is no known relationship between tissue levels and impairment for this drug. The owner/operator of the flight school at 42J where the pilot received his primary flight instruction was interviewed. According to the flight school owner, who was a flight instructor, the pilot "pushed his training as hard as he could and cut corners wherever he could." According to school records, the pilot scored a 73 on his FAA private pilot written exam. The pilot purchased the airplane as soon as he passed his practical exam. The pilot later built a hangar on his property and kept the airplane there, but he continued to fly in and out of 42J. The flight school owner said that he watched the pilot depart 42J with his family on multiple occasions in weather that was "below VFR minimums." He said that he counseled the pilot numerous times about operating the airplane VFR in instrument conditions. Most recently, he counseled the pilot 2 weeks before the accident. The flight school owner stated, "I've been flying for more than 40 years, and I tried to explain to him the history of pilots with an anti-authority attitude. It's an attitude that catches up with you. He was a low-time, flat-land pilot with no mountain experience. There was an AIRMET for mountain obscuration that day… there was plenty of information out there." When asked why he thought the pilot departed on the accident flight with those conditions along his route of flight, the instructor said, "I counseled him numerous times about taking instrument training and getting an instrument rating. Lots of us around here did. He couldn't be bothered. He would just draw… [the flight route] on his iPad and go." On December 26, 2016, about 1602 eastern standard time, a Cessna 182H, N1839X, was destroyed when it collided with mountainous terrain during descent for landing to Gatlinburg Pigeon Forge Airport (GKT), Sevierville, Tennessee. The private pilot and two passengers were fatally injured. Instrument meteorological conditions prevailed, and no flight plan was filed for the personal flight, which was conducted under the provisions of Title14 Code of Federal Regulations Part 91. The airplane departed Keystone Airpark (42J), Keystone Heights, Florida, about 1300. 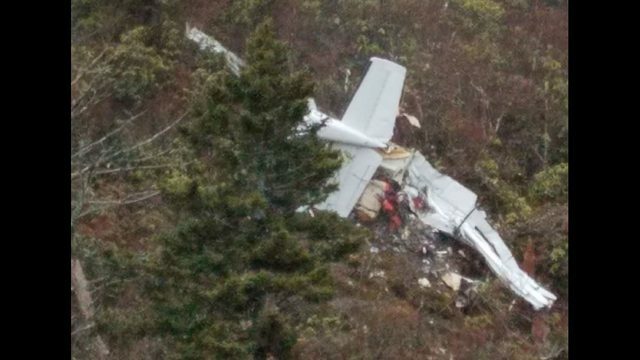 Preliminary information from the Federal Aviation Administration (FAA) revealed the airplane was receiving visual flight rules flight-following services and was at 9,500 feet when the pilot requested a descent for landing at GKT. At 1554, the controller approved the descent and issued an altimeter setting. Radar data depicted a descent on a ground track of about 340 degrees, directly toward GKT, between 130 and 150 knots groundspeed. At 1558, about 20 miles from GKT, the airplane descended below the minimum vectoring altitude of 8,000 feet. The airplane continued its descent on the same ground track and about the same speed. At 1602, the radar target was at 5,400 feet, and abeam the peak of Mt. Conte (elevation 6,500 feet) when the radar target disappeared. At that time, the controller issued the airplane a radio frequency change to the GKT common traffic advisory frequency and terminated radar services. No reply was received from the accident airplane and no further attempts to contact the airplane were made. The wreckage was located by helicopter at an elevation of 5,400 feet in steep, mountainous terrain about the same position as the last radar target. The wreckage was examined at the accident site by an FAA inspector. All major components of the airplane were accounted for at the scene; however, because of the hazardous conditions at the site, a brief photo-documentation of the wreckage was performed before it was recovered by helicopter for a detailed examination at a later date. The pilot held a private pilot certificate with a rating for airplane single-engine land. He was issued a third-class medical certificate on December 3, 2013, and he reported 12 total hours of flight experience on that date. The pilot was issued his private pilot certificate on April 1, 2014, with 45.3 total hours of flight experience. On April 27, 2016, the pilot reported to his insurance carrier that he had accrued 272 total hours of flight experience, 219 hours of which were in the accident airplane. The four-seat, single-engine, high-wing, fixed-gear airplane was manufactured in 1964, and equipped with a Continental O-470-R series, 230-horsepower reciprocating engine. According to the airplane's maintenance records, the most recent annual inspection was completed on October 5, 2015, at 2,595 total aircraft hours. At 1615, the weather reported at GKT; located 15 miles north of the accident site, included few clouds at 4,600 feet and calm wind. The temperature was 18 degrees C, the dew point was 13 degrees C, and the altimeter setting was 30.30 inches of mercury. Airmen's meteorological information (AIRMET) Sierra was in effect along the airplane's route of flight for mountain obscuration. Satellite imagery showed instrument flight rules conditions with cloud tops between 6,000 and 7,000 feet in the area surrounding the accident site and southward. At 1545, about the time the airplane passed overhead, the weather reported at Macon County Airport (2,034 feet elevation), Franklin, North Carolina, about 25 miles south of the accident site included scattered clouds at 700 feet, a broken ceiling at 1,200 feet, and an overcast cloud layer at 2,400 feet. The visibility was 4 statute miles in fog. The National Transportation Safety Board traveled to the scene of this accident. At 1545, about the time the airplane passed overhead, the weather reported at Macon County Airport (2,034 feet elevation), Franklin, North Carolina, about 25 miles south of the accident site included scattered clouds at 700 feet, a broken ceiling at 1,200 feet, and an overcast cloud layer at 2,400 feet. The visibility was 4 statute miles in fog. David Starling, his 8-year-old son Hunter, and Kim Smith. Three people died in a plane crash headed from north Florida to Tennessee just after Christmas last year. Now, the Federal Aviation Administration may be found culpable in their deaths, if a recent suit filed against them is found to have merit. 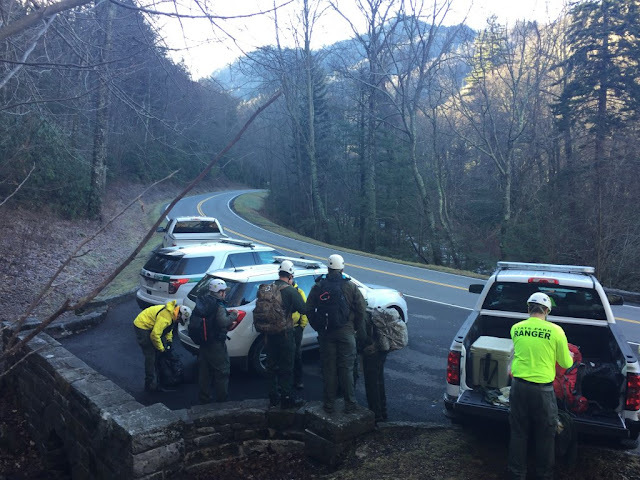 David Starling, 41, his 8-year-old son Hunter and 42-year-old Kim Smith died when the Cessna 182H Skylane aircraft Starling was flying crashed into an unnamed ridge in the Great Smoky mountains. The trio is from Bradford County and they were going on vacation. First Coast News has learned surviving family members have filed papers with the Federal Aviation Administration arguing air traffic controllers failed to monitor the flight and are to blame for the crash. Reports released since the crash say weather conditions in the area were poor and suggest the pilot wasn't flying with the correct instrumentation. The family was flying in a Cessna 182H Skylane aircraft when they went down. They were headed from Keystone Heights to Gatlinburg, Tennessee, the day after Christmas. Kim Smith's adult son says he didn't like the idea. "Mom told me they were thinking about it," says Garrett Smith. "I told her I wished they'd just drive." In new documents filed with the Federal Aviation Administration, Smith claims the air traffic controllers failed to monitor the plane's altitude. The claim says when the plane went off radar it was below the minimum allowed altitude - flying at 5,400 feet abeam Mounte Conte, which was almost 1,200 feet higher. It says an air traffic controller failed to ask the pilot if he could see the terrain in sight or had appropriate flight instruments for the conditions and was required to do so. This matters because the pilot wasn't using a radar. Starling was instead flying under Visual Flight Rules - permissible when weather conditions are good and a pilot can fly a plane with the naked eye. The filing says after the plane disappeared from radar - and had likely crashed in the Great Smokey Mountains - an air traffic controller asked the plane to switch to the local airport frequency. It says the tower never got a response from the plane and made no additional attempts to contact it. The first hint of disaster came from an emergency locator beacon. Lieutenant Colonel Evan Gardner runs the Air Force Rescue Coordination Center, a small but important group that coordinates efforts to find lost civilian planes all over the country. "The g-force of the crash caused [the emergency beacon] to go off and the satellite picked it up," Gardner says. When trying to find the lost plane, Gardner says his group uses any tool they can get their hands on. "Our primary tool is actually Google Earth," he explains. "We go in and make overlays so we can track all of the resources." From a small room, a group of four to six airmen activate and coordinate planes, helicopters and search teams anywhere in the U.S. They work multiple cases at the same time. Last year, this unit investigated 8,000 emergency beacons - only 10 percent end up with someone in distress. Major Sarah Hendrick worked the Starling case. "Our radar forensics and our cell phone forensics were our most useful pieces of information for this particular investigation," she says. Hendrick combined the final radar blip of the plane with signals from Smith and Starling's cell phones. 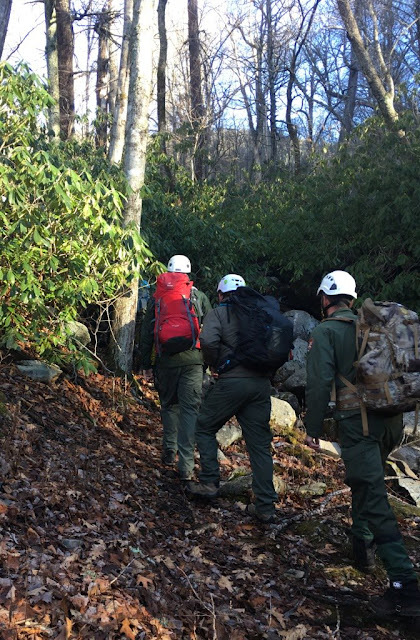 "It was a very dangerous location too because of the terrain," she explains. "It was mountainous and there were no trails that led directly to where we believed the aircraft to be." She dispatched a civil air patrol surveillance plane and specially trained park rangers. New reports filed with the Federal Aviation Administration say a helicopter ultimately found the crash site. "I wish I would have known so we could have fished one more time or I could have talked to her a little bit more," Garrett says of his mother. He traveled to Tennessee after the plane went missing and he hadn't heard from his mother. In his filings with the FAA, he says failures by controllers to provide radar assistance and keep the plane clear of the mountain caused or contributed to his mother's death. "Not a day goes by I don't think about her or talk to her," he says. "Mom and I were best friends by far." The National Transportation Safety Board has not released their final report on the crash. We reached out to the Federal Aviation Administration for a comment on the claim filed but they haven't gotten back to us. The plane was taken from the mountainside for further investigation. Very sad he is dead, but trying to blame ATC for a VFR flight following after radar services are terminated is ridiculous. Please drop the suit. This relates to our freedoms as citizens. We do not want to create an atmosphere where the FAA is responsible for, or approves our flight altitudes when flying VFR. It would be like having the DOT approve, or be responsible for, our driving route through the National park. It is sad when an unfortunate accident like this one seeks to blame someone else besides the operator of the vehicle, who in this case, appreciated the freedoms that he had in OUR National Air Space system. This plane was illegal to fly anyways since it flew past its annual inspection date. Very sad situation. My advice to the surviving family, get a second opinion on whether or not to sue. Illegal aircraft. Twice illegal pilot. You’ll be wasting your money and emotional energy. Reads like Garrett has a much better case against the pilot than ATC. This is a very unfortunate accident where an over confident and arrogant new pilot killed his family. Blaming it on ATC or anyone else is ridiculous. How does ATC know when a pilot is doing something stupid vs knowing what they are doing. I am sure the FAA get this all the time and I understand that people will try to blame someone however the pilot had a history all the way from his ab initio training to be flagrant to the process of learning and gaining experience. The two people who died with him were collateral damage.